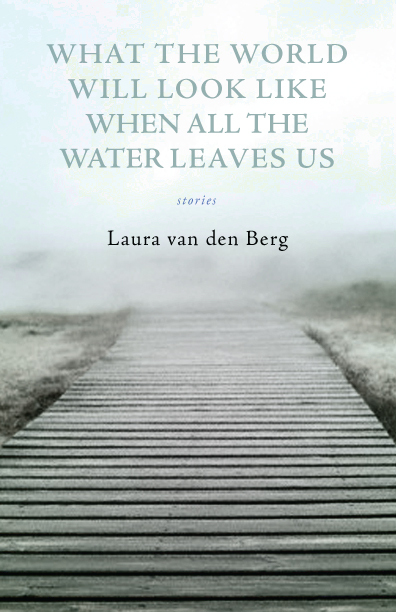 Episode 11: Laura van den Berg, What the World Will Look Like When All the Water Leaves Us | Book Fight! Book Fight road trip! Tom and Mike drove several hours to State College to talk with Dave Housley—author of two story collections and one of the founding editors of Barrelhouse magazine—about a book he recommended to us, Laura van den Berg’s What the World Will Look Like When All the Water Leaves Us , published in 2009 by Dzanc Books. Among the topics discussed: expectations for variety vs sameness in story collections, “lit fiction” as a genre, over-the-top book blurbs, Dockers vs dockers, Bigfoot, Dave’s abiding love of Heidi Montag, Mike’s weird crush on Kristen Schaal, and ear fetishists. As always, you can listen to the episode here, or download it and play it on your favorite mp3-compatible device. Or click the iTunes link over there on the right, then download or even subscribe in the iTunes store. Enjoy! Categories: Episodes | Tags: first books, Heidi Montag turns herself into a monster, Kristen Schaal's ears, small press, story collections | Permalink.